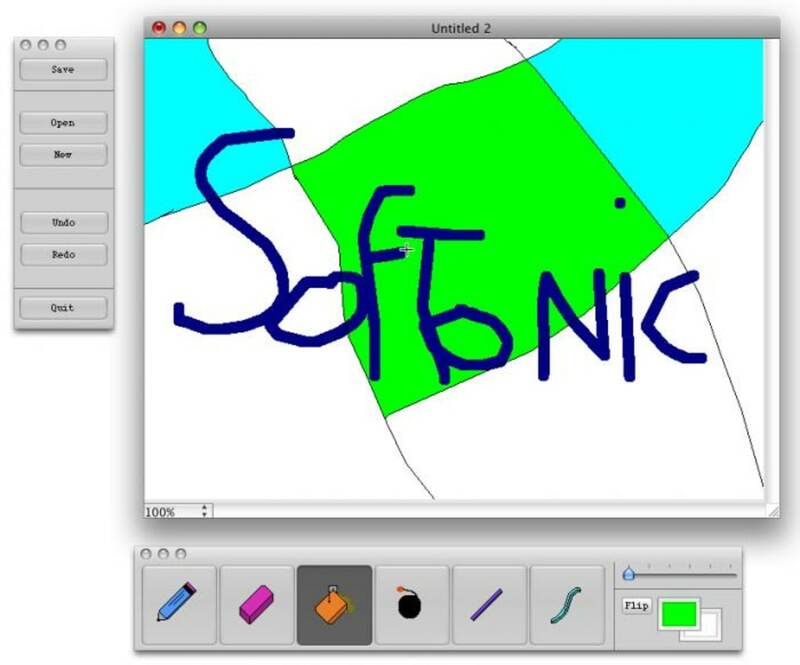 MacPaint was Apple's original paint program for Macs and MacPaint X is a modification of it. MacPaint X therefore contains many of the elements that made MacPaint popular i.e. ease of use and a simple palette based interface. Note that unfortunately, development of MacPaint X has discontinued and it will never come out of Beta. It also does not work on OS X 10.6 Snow Leopard or higher. MacPaint X offers all the tools you need to design your first raster graphics. It includes all the basic tools such as brush, eraser, line marker and a magnifying glass plus a rotation button to flip your images. MacPaint X also includes a handy Undo button so that any mistakes can be immediately corrected. 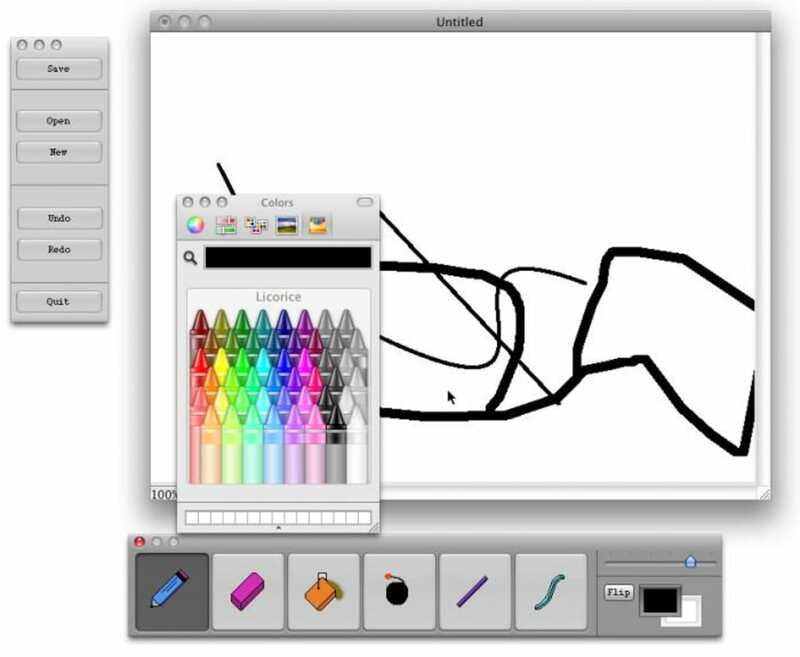 MacPaint X automatically saves your projects as you paint to ensure you don't lose your masterpieces. 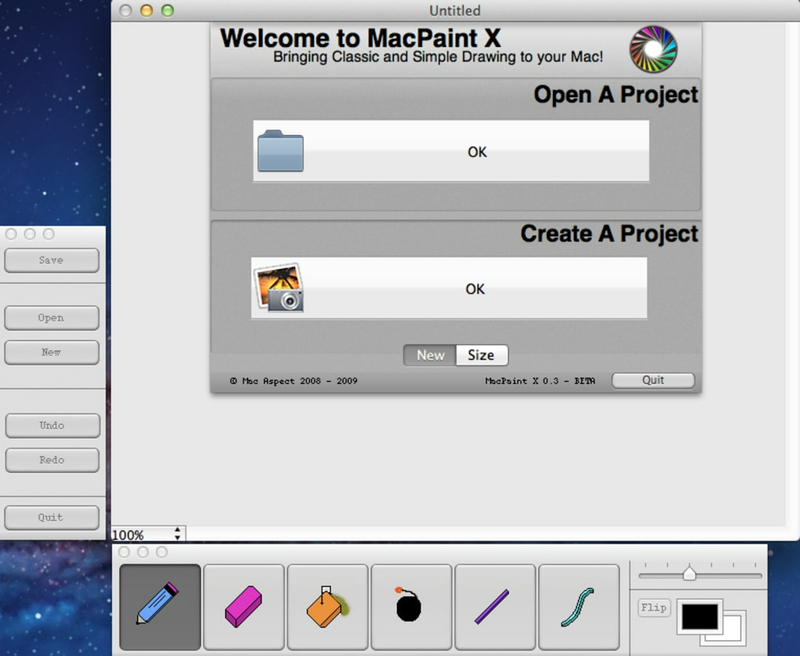 Compatible with many formats, MacPaint X is the ideal software for beginners in image editing. 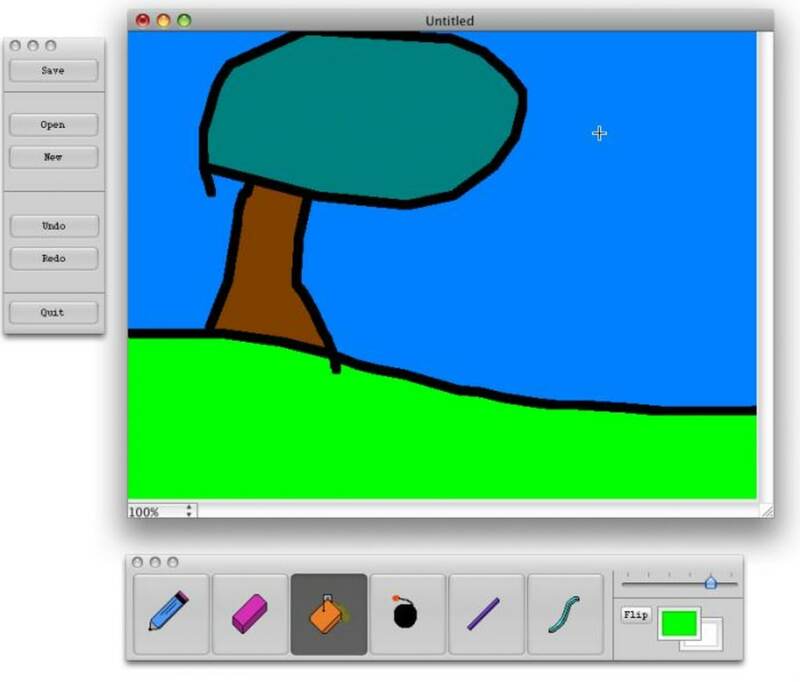 It's the closest thing to MS Paint since Paintbrush. 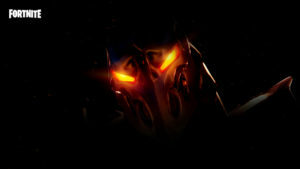 @crashed repeatedly. 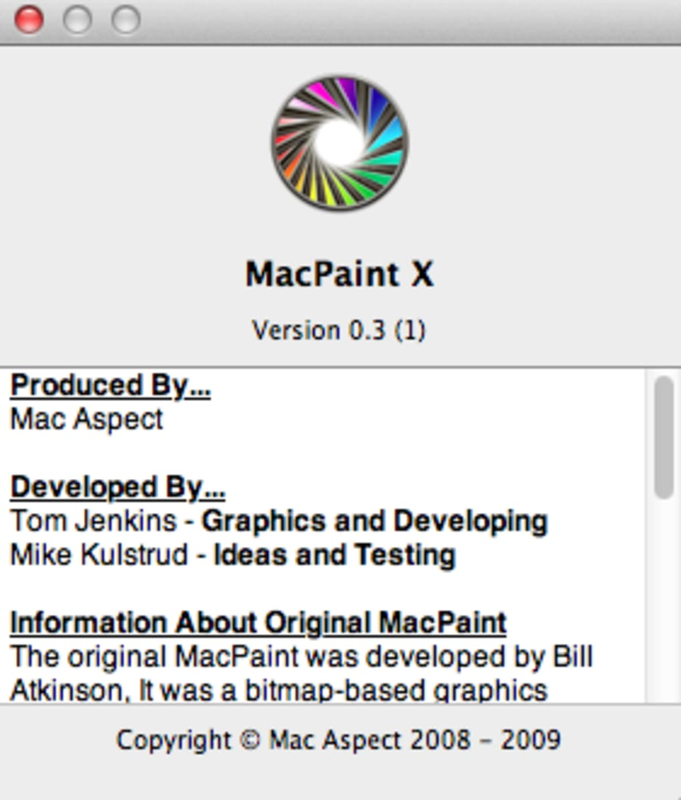 Note that unfortunately, development of MacPaint X has discontinued and it will never come out of Beta. It also does not work on OS X 10.6 Snow Leopard or higher. Crashed repeatedly. I downloaded this onto a MacBook Pro running 10.6. It crashed when I tried to use the tools. no Good. Pros: If it worked it would be a nice simple program for students.